This triangular junction at Brgy. Camp I (Rosario, La Union) is where the Kennon Road coming from Baguio City meets with the Manila North Road (MNR). The MNR snakes to the left towards the direction of San Fernando and Laoag cities. Traffic is still very light at around 7:00 am when this photo was captured, but this is expected to turn into a virtual carmageddon as soon as vehicles coming from the north and Baguio City start to trek back to Metro Manila in the afternoon, after a four-day long weekend. Shooting info - Brgy. 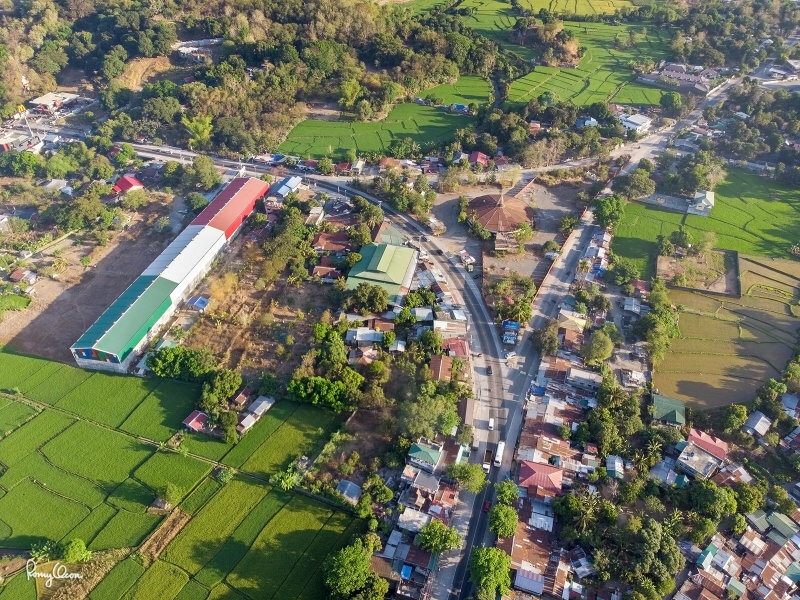 Camp I, Rosario, La Union, April 9, 2019, DJI Mavic Air, 4.5 mm, f/2.8, ISO 100, 1/230 sec.